Josh Lewis from nearby Salina, UT is coming back to Kanab!! From first ride in a hot air balloon he was hooked, his love for balloons and the sport has grown ever since. In October 2008 under the teachings of Mike Bauwens and Kent Barnes, Josh received his private pilot certificate and recently became a commercially rated pilot. Since then he has been lucky enough to fly and participate in events in places such as Eden, Park City, Salina, and Albuquerque, NM. Kurt got a fixed-wing pilot license in the early 80’s and got his balloon rating in 1997. Kurt loves ballooning and riding ATV’s through the back country of southern and central Utah on the trails that are only accessible by ATV. *Help us welcome back Kent Barnes! We’re happy to have you Kent! A fixed wing pilot since his college days (let’s not ask how long ago that was), Kent has been enjoying flying hot air balloons since his initial lighter than air flight that came about as the solution to a mid-life crisis. Within six weeks of his first flight in a balloon, he purchased his first balloon and completed the requirements to earn a FAA commercial pilot certificate. Kent has had the opportunity to travel and fly at locations and events across the western United States, as well many international events in the Middle East, Asia Pacific as well as South and Central America. Kent’s favorite areas to fly are the mountains of Utah, Idaho, and Wyoming as well as the red rock country of Arizona, New Mexico and of course Utah. However, the pyramids of Mexico offer a spectacular experience from a hot air balloon that must be seen. One of his greatest joys is to introduce the sport of hot air ballooning to people for their first time. It is Kent’s desire to promote ballooning as a fun filled family activity. *Welcome back Tim Kuller and his balloon “Techni-Kuller”. Tim is joining us from Mesa, AZ! He has been working with Balloons since 1989 and he qualified for his Private Pilot Certification in May of 2003! We’re happy to have Tim back in Kanab for Balloons and Tunes!! *Say hello to Peter Procopio and his balloon “Koshare Gallup”! We are happy to have Peter back in Kanab for Balloons and Tunes! 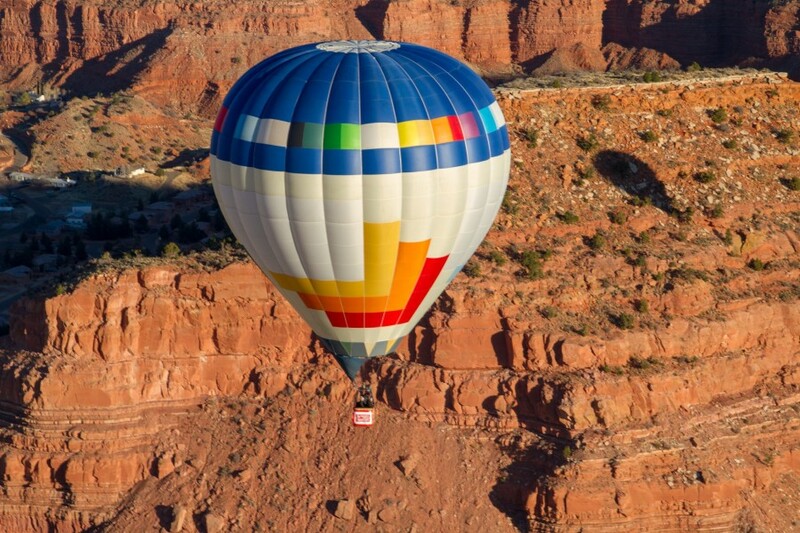 Peter has flown at events throughout the four corner region, from desert to mountain valleys! Peter has been flying since 1978 and received his Commercial Certificate in 1981!! Welcome back Peter! !